Part 4 of Banjo Guy Ollie’s ‘Mega Man 2 Month’ is a cover of the theme for Wood Man! Part 3 of Banjo Guy Ollie’s ‘Mega Man 2 Month’ is a cover of the theme for Flash Man. Enjoy! 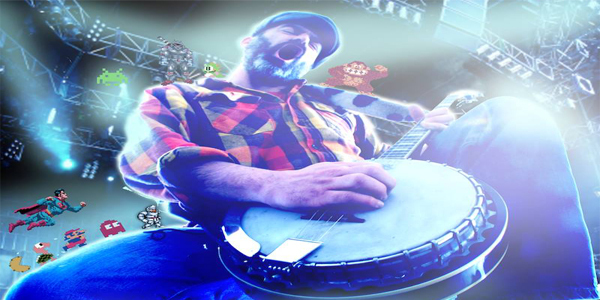 Banjo Guy Ollie will be starting a Mega Man 2 month where he will be doing one cover per week for the next month. First up is the theme for Metal Man! Because not every cover has to be a shredding note-filled exercise , here’s a simple quiet one. I loved this tune from the first time I heard it back then and I’ve always wanted to cover it properly. I had a love-hate relationship with Psycho Fox. Essentially because I sucked at it but I always loved the music which never failed to lift my spirits…. I could never get too mad at the game either . And the graphics were so darn cute too . Another master piece originally composed by Jake Kaufman for Shove lKnight by Yacht Club Games. Probably the toughest cover I’ve had to do hand’s down. This thing was ridiculously hard to pull off on acoustic stringed instruments like the banjo and mandolin. It’s a very simple theme so I thought I’d explore the tonal range a bit with various instruments and a change of rhythm. It’s time again for another cover by Banjo Guy Ollie and this week he tackles the Mad Forest theme from the NES classic Castlevania III: Dracula’s Curse.